Home / MOVIE REVIEWS / "A Dog's Purpose" Movie Review: Bailey is the New "Hachiko"! "A Dog's Purpose" Movie Review: Bailey is the New "Hachiko"! If you are familiar with the story of the world's most famous dog, "Hachiko", and was moved to tears and made you realize how important dogs are in the lives of its human friend, then you will also love the story of Bailey in Universal Pictures' latest movie offering, "A Dog's Purpose". Bailey is somewhat similar to Hachiko, only in this film, Bailey was reincarnated several times as a different dog breed with different purposes in life every time Bailey gets reincarnated. The story is really simple, made into a fantasy, and can be easily understood by everyone. Dog lovers will surely love how this movie will move everyone into tears each time Bailey transcends into another life. If you will not be moved by this movie, I'm pretty sure you have a heartless soul and maybe you have a heart of stone as well! Hahaha! Anyway, we loved how the movie's purpose was plotted intelligently and was presented in a way that it is a light drama, a funny story in a dog's point of view, and a very touching material for all dog lovers out there! 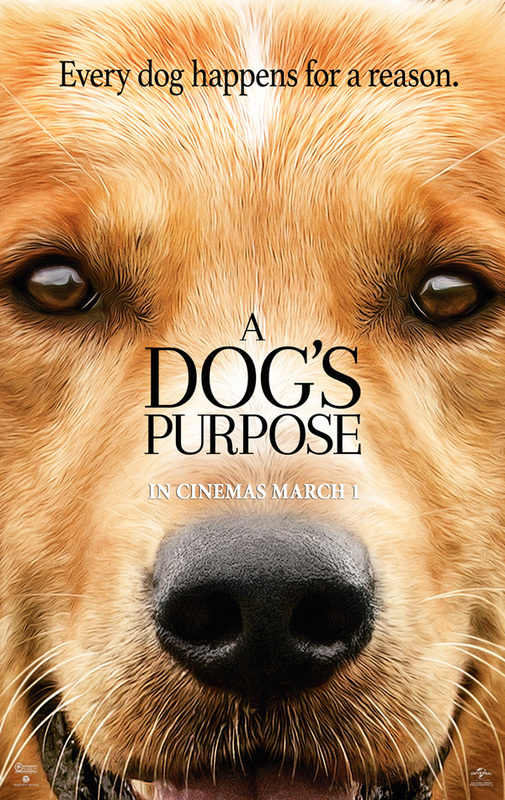 I cannot reveal much more information, but this can assure you, "A Dog's Purpose" can be lined up on the list of dog movies out there with a heart and a purpose, which includes "Hachiko Monogatari", "A Tale of Mari and the Three Puppies", the American version of "Hachiko", and "10 Promises To My Dog" to name a few. Because it is made into fantasy, we can assure of a happy ending, which made the movie predictable as well. But of course, the twist at the end is very chilling, you really have to watch "A Dog's Purpose" from beginning to end! Overall, we were touched, we were moved into tears, and we were entertained by the sense of humor Bailey has in this movie! We give "A Dog's Purpose" a 9 out of 10 movie experience and it is highly recommended if you are a dog lover. "A Dog's Purpose" is coming to Philippine cinemas on March 1, 2017! See you there!